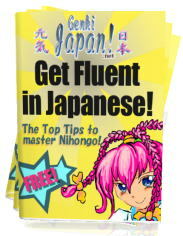 If you enjoyed this page, sign up for my weekly "Learn Japanese FAQ" newsletter and get my "Get Fluent in Japanese" eBook worth $19.99 completely FREE! I hate spam & will only use your email to send you the link to download your free book and your weekly newsletter. Here's another silly dance track to learn some Japanese colours. Sometimes found Japanese hard or difficult to learn? Ever been put off by unnatural Japanese in textbooks? Ever found yourself falling asleep in language class? Would you like a fun, exciting way to learn Japanese? Well my name is Richard and here is your stress free way to learn Japanese! Now it's your turn to get genki, energetic, enthused and full of life. I've taken all the best ideas I used to get fluent in Japanese & made these unique songs to making learning easy & fun. these songs will stick with you all day! Just learn by listening to these mp3 tracks. 11. Where are you from? 15. Head & Shoulders in Japanese! These specially designed songs distill the key Japanese you need into short, simple, snappy songs that drill into your brain, just like the most annoying hits on the radio! They're ideal for your iPod / iPad! "Easy to Learn Japanese: Posters eBooks: Anime Version"
.& NEW "Easy to Learn Japanese: Posters eBooks: Traditional"
& FREE 70 page Hiragana Workbook! learn how to read & write the first full Japanese alphabet. And get my "Get Fluent" ebook free of charge! in just a few minutes time! no worries! You have 30 days to try each and every song and if you are not 100% thrilled you can ask for a full refund. No questions asked! 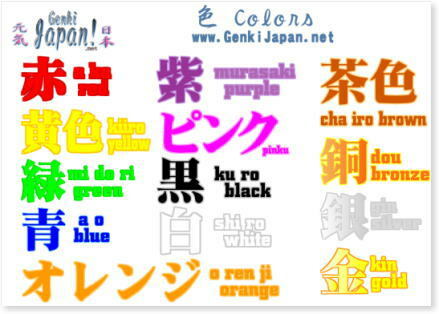 So try this completely risk free way of learning Japanese today! Harvard University have even tested and researched my teaching programmes, so you know you're learning from the best. Order your mp3s + all the freebies pack now! You'd be crazy not to join us! Go on , you deserve to be able to speak Japanese! Download Now! Just some of the Japanese newspapers where my original high energy, genki teaching materials have been featured! Join us now! P.S. Did I mentioned it's fully guaranteed? If you go to Japan and no one says to you "Your Japanese is great!" - Nihongo Jouzu! - send me an email and you'll get a full refund! Join us now! The A4 version of this poster is included with the pack above! 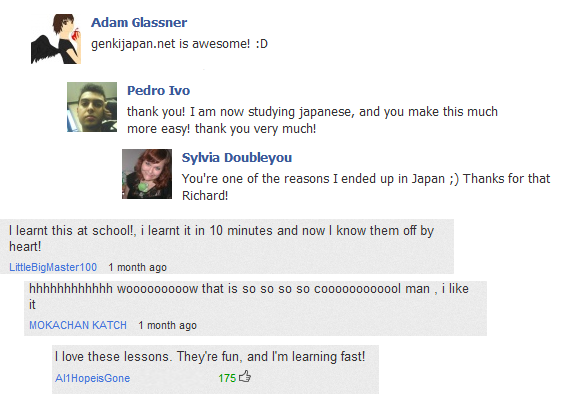 Or ask me a question about learning Japanese, I'll answer it on my Learn Japanese FAQ page. 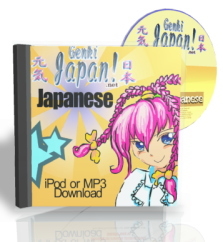 Buy the Genki Japan MP3 & PDF Download Pack today!